We have a Georgia Center for the Book in my home state and it happens to make its home base down the road from me, in the Decatur library. I love the Georgia Center for the Book because…well, it’s a center. FOR THE BOOK. Anyway, last week, they announced their 2015 books for adults and children, books that all Georgians should read. (And I’m not gonna lie. Folks outside of Georgia will probably love these books, too.) 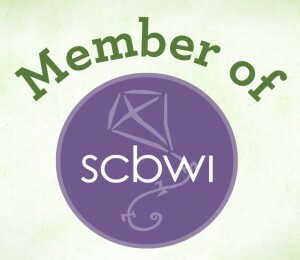 Many of the authors were there to receive awards and I was there because many of those authors are friends of mine and members of SCBWI. After the ceremony, they had a book-signing (they had a book sale, too) but I refrained from buying books. I have a wee bit of a problem, buying books, but still, I wanted to support these wonderful authors. What to do, what to do? Go to your local library and check to see if the book is on the shelf. If it’s not, request the book. When enough people request a book, a library takes notice (and maybe orders the book!). If you do find the book at the library, check it out and read it. If you use social media, talk about the book. (And make sure you include the author’s name along with the book title so the author can see your support.) Authors often are uncomfortable with self-promotion, but when you do it, it’s golden! Leave a book review on Goodreads or Amazon. It doesn’t have to be a 5-star review (in fact, too many five-star reviews is not a good thing) and it doesn’t have to be a mini-book. Short and sweet is just fine. You will make an author’s day, leaving a nice review. How about you? What do you do when you love a book but can’t afford to buy it? A How To Guide For Selling Your Book-FREE! Oh my word, my brain is still conference-buzzing but I have a wonderful opportunity for you so I can’t wait for my head (and other body parts–don’t ask) to get back to normal. A How to Guide and Marketing Plan for selling your book, Kindle book or eBook…includes sample budgets and time-lines with strategies to make your blog tours sizzle, your rankings rise and your book sales soar. This book differs from other “How To” marketing tomes in its action oriented content. Not only do we give you an overview of the latest marketing trends including Content Marketing, Antic Advertising and Gamification, we also provide 100 Small Fires – concrete and creative ideas you can use to market your book AND three marketing plans, covering all sized budgets with timelines for taking specific actions. Now, I don’t want you thinking that these are tips that only kidlit writers can use. They’re gems for any writer–any age group, any genre–and they’re invaluable whether your book is coming out in a couple months or a couple years (or even if your book is filed away in your brain, still waiting to be written). AND, T.K. is getting ready to update the book. So she’d love to hear from you if you have any marketing ideas to share. So go get your free ebook and burn it up out there! Wait! Hold on! Figuratively speaking, I mean! Ugh. My head hurts. More about the conference later, grasshopper. 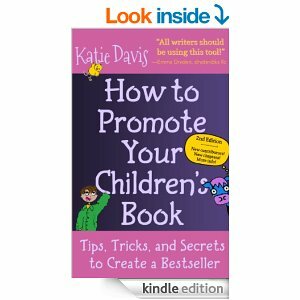 Giveaway of How to Promote Your Children’s Book by Katie Davis! Wheee! Here’s the thing. I hope you win. I really do. 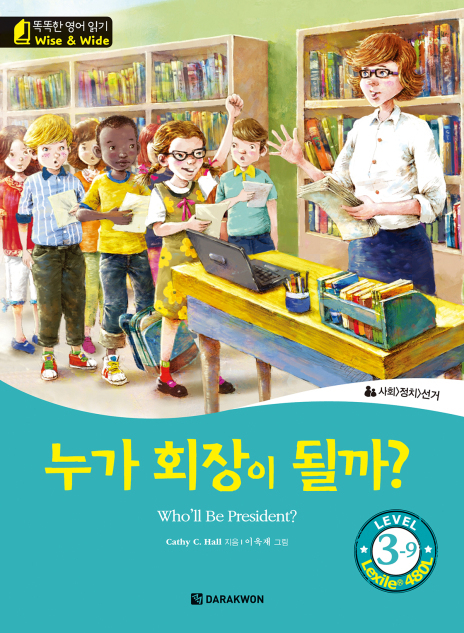 Katie Davis’ How to Promote Your Children’s Book is SO good, I can’t even say. In fact, I’m going to let Katie tell you all about it. But first, I’m going to tell you why the rush is on for this giveaway. 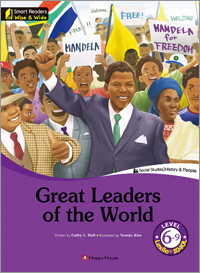 Right now–RIGHT NOW–Katie Davis is selling this book at the low price of $4.99. And you won’t just get the book. You’ll get all this other stuff that she’s throwing in, too. I can’t even write it all out. It’s too much. You’ll have to go here and check it out. Seriously, it’s $125.00 worth of her marketing genius stuff, for FREE, when you buy this book for only $4.99. So even if you don’t win here, you can still buy the book and win. And you win even more if you order the book before March 31st! But I know you’re wondering if you really need this book. Let’s ask Katie! 1. I don’t have my own book out there, so why do I need to worry about book promotion NOW? is how important it is for every writer to create a platform. All a platform is, is how you communicate online. Or rather, the places you communicate from. Transparent communication is especially important. Why? Transparency builds trust, trust builds bonds, bonds build loyalty and loyalty builds relationships. So imagine you start that communication the month before your book comes out. How long does it take you to build a relationship? One with real connection? I feel like I have real connection with my peeps, and I started that years ago. I love them! I love helping them, I love seeing them succeed, I get the warm fuzzies when they say that I’ve helped them. I call that being selfishly unselfish: I selfishly feel good having helped someone else. So you don’t need to “worry” about book promotion. You need to look forward to making friends and building relationships. In other words, building your platform. 2. I’ve already released my book, so it’s too late to get in good book promotion now, right? Nope! I created the book trailer for Kindergarten Rocks! many years after it came out and it regenerated sales like crazy! Now it’s one of my biggest selling books and I saw the leap after the video was created. 3. But Katie, you’re a children’s book author and my book’s a memoir/an adult novel/ an anthology. You don’t have any tips for an author like me, do you? The book is jam-packed with information, and you can take the ideas and principles and apply it to your business or memoir/adult novel or anthology. Yes, boy, have I got tons upon tons of tips! 4. Quick! If an author doesn’t do anything else for book promotion, she (or he) MUST ______________________. Start an email list! Yesterday! So now I’m adding Rafflecopter for this giveaway and really, I hope you win.